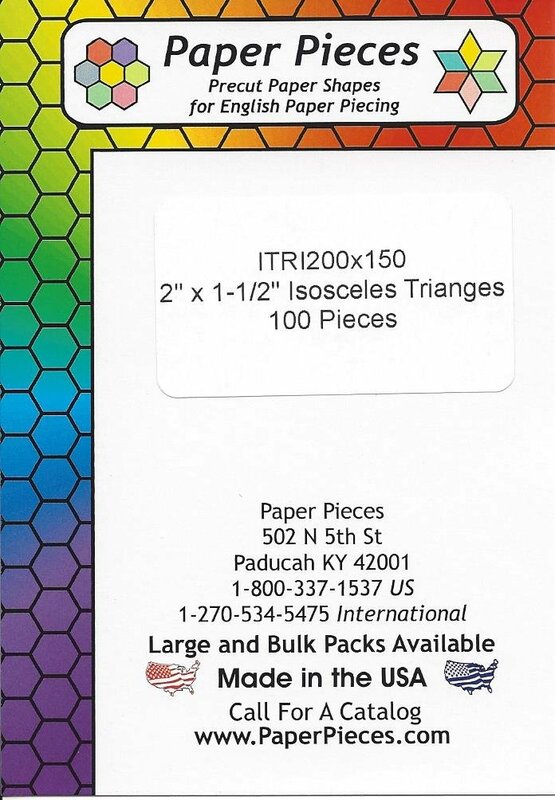 Package of 100 count Isosceles Triangle papers for English Paper Piecing (EPP). The size of the triangle is 2" x 1 1/2". I used them when creating my Sugar Rush Mug Rug! So fun to create this unique star with the circle in the center. Click here to download my FREE Sugar Rush pattern. International customers, please email Pam@HeartspunQuilts.com for postage pricing to your home.